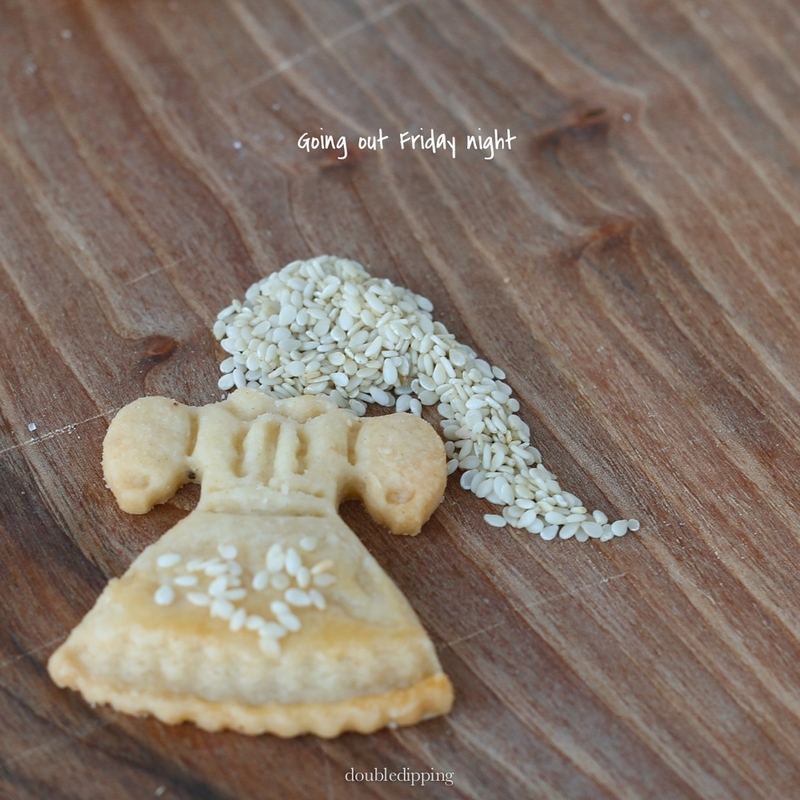 Dress as you like with sesame or poppyseed, chili or salt flakes – NO MAKE UP needed! 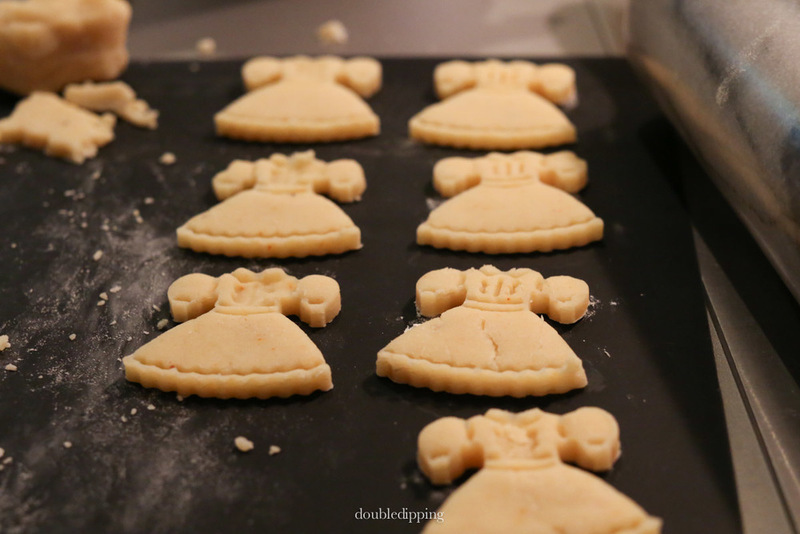 When I saw this cookie cutter at my friend's shop CUISINARUM in Vienna's 1st district, I had to have it and immediately had this recipe in mind! Martin, the owner of Cuisinarum, finds the best things at fairs in Paris and Germany and for me; going to his shop is just like going to the spa for other girls! I browse for time without end and everyone there is very well trained, never pushy – always helpful. Most of my stuff is from there and you will find great gifts for your friends for little and for big budgets. These cutters where about 2€. By hand knead the soft butter and the parmesan together, mix the flour, baking powder, spices and the egg, add the parmesan- butter, mix with your Kitchen aid or hand mixer and refrigerate covered in a cling wrap for an hour. 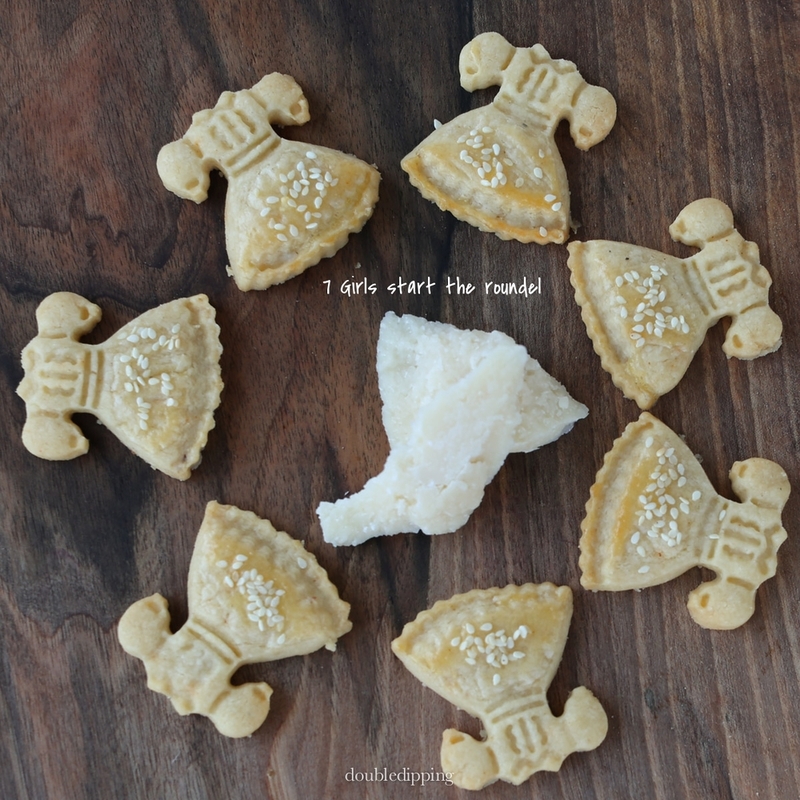 Roll out the dough on a floured surface and cut out the shapes you like. 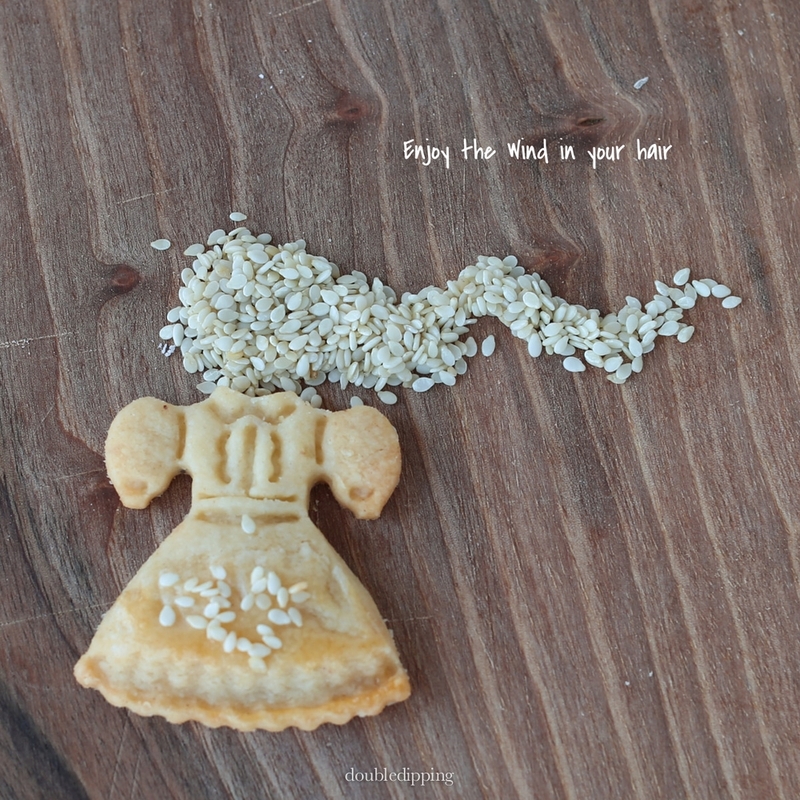 Brush the "dirndl" skirts (or whatever shape you use) with the beaten egg and sprinkle the seeds on it. 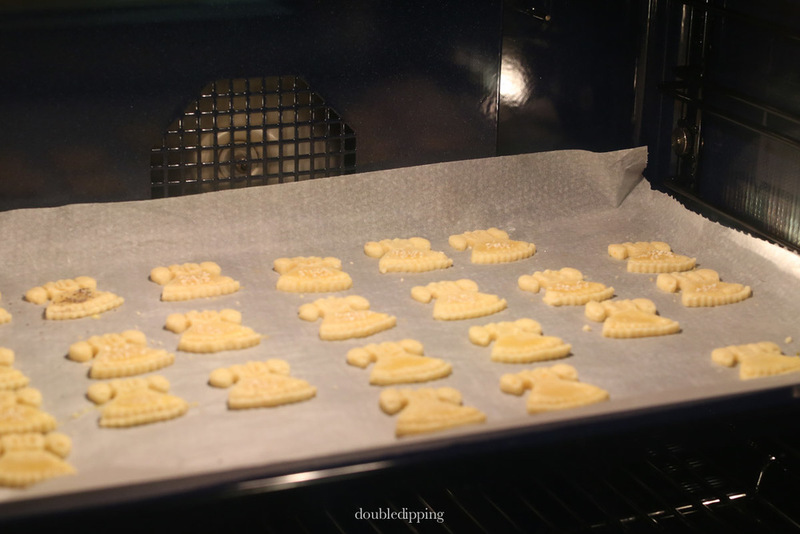 Transfer crackers to a lined baking sheet and bake for 12 Minutes. Alternatively if this is too time consuming make a roll of 3 cm diameter, a little over an inch, brush it with the egg and roll it in poppyseed or sesame seed, cut in even slices with a knife after refrigerated and bake as before with enough space between each other, this way you can use them for appetizers with your choice of topping. 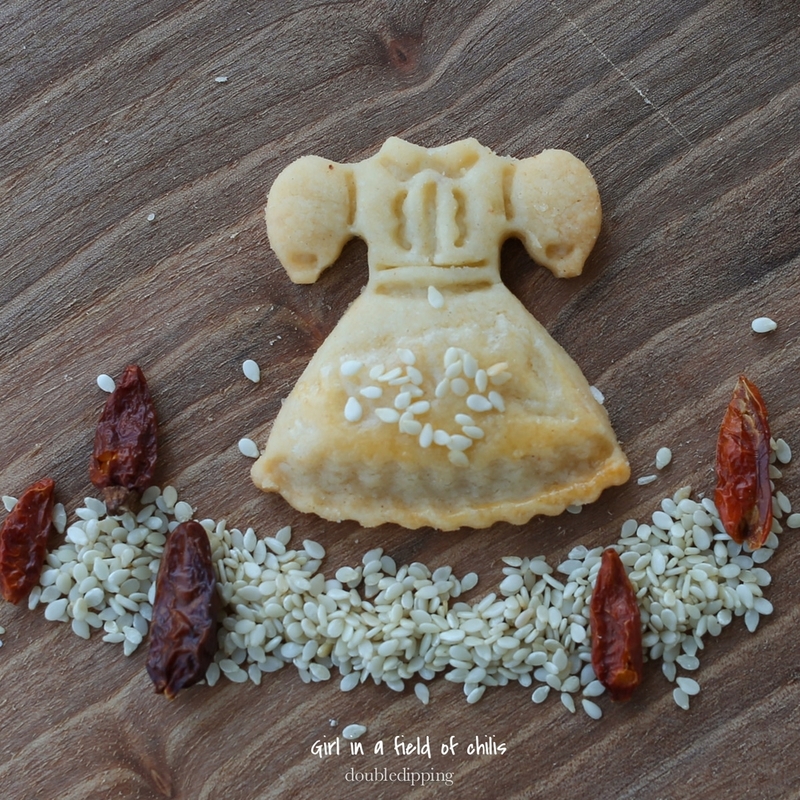 I just had to make up little stories with my food, l would love to see yours once you try this recipe !!! Perfect for champagne to start your dinner with or with blue cheese at the end of a festive meal.